[Brenda Moore] had consumed two tall cans of beer at her sister's house on the evening of December 5, 2008. A friend of [Moore's] brother asked for a ride to visit a friend. [Moore] explained to him that she could not drive because she had been drinking but he could drive her car if he had a license. The brother's friend then drove the [Moore's] car with [Moore] riding as a front seat passenger. When an Indianapolis Metropolitan Police Officer pulled over the car because the license plate was not working, the officer determined that the driver did not have a valid driver's license and that [Moore] could not operate the vehicle because she was intoxicated. The car was stopped on a public roadway, East 13th Street in Indianapolis. The officer observed that [Moore] had red, glassy, bloodshot eyes and slurred speech; she needed to lean against the car for balance; and she admitted that she had been drinking that night. She admitted, "I couldn't walk. So I couldn't have driven." Moore was charged with Public Intoxication, a class B misdemeanor. An Indiana Supreme Court decision in 1966, Miles v. State, 216 N.E.2d 847 (Ind. 1966), declared that a person parked alongside a highway was in a public place for the purposes of the public intoxication statute. Moore's argument was that considering the inside of a car to be a public place was against what the legislature intended when it passed the public intoxication law. She also argued that it was against the public policy of encouraging sober drivers to drive those who are too intoxicated to get behind a wheel. 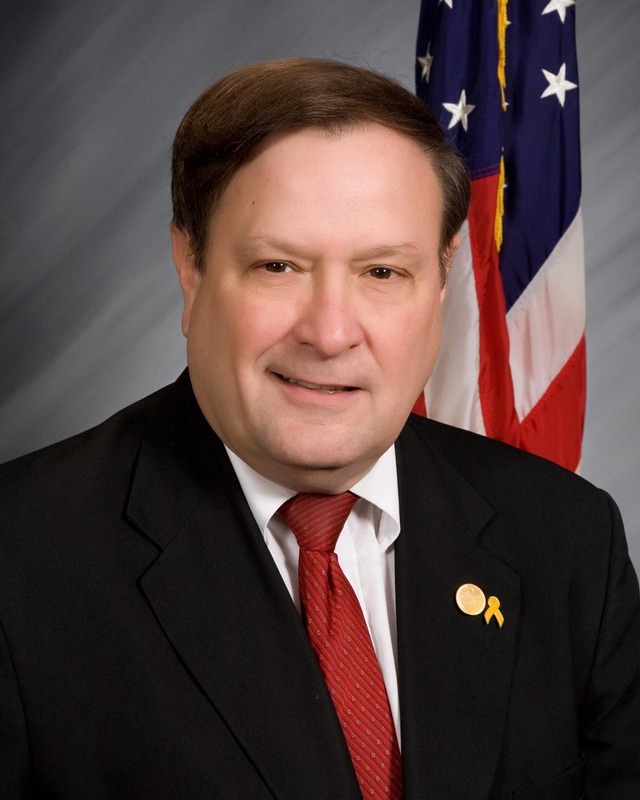 ﻿ State Senator R. Michael Young (R-Indianapolis) authored Senate Bill 156 last session that would have scrapped public intoxication as a stand-alone criminal offense. Sen. Young, like a lot of people, doesn't believe simply being intoxicated in a public place should be a crime subjecting someone to arrest. He believes that rather the issue should be whether they are doing something else objectionable, such as disturbing the peace or urinating in public. Not surprisingly most police officers and prosecutors love the P.l. charge. Their response is always that it is a "crime fighting tool." They alwasy assure the public that if the discretion is given to them, in this case to arrest someone for simply being intoxicated in public, they won't abuse the discretion, that it will only be used in cases where the person is acting improperly. Senator Young's bill passed the Senate 33-17 last session before ultimately dying because it wasn't heard in the House committee. The legislature needs to take the bill up again next session. At the very least the General Assembly needs to pass a law to clarify that the legislature never intended that a vehicle be considered a public place for the public intoxication law. People who are inebriated for acting responsibly by having a designated driver take them home. UPDATE: Interestingly in a press release the Indiana State Police is urging people to use a designated driver this July 4th weekend if they have been drinking. The situation creates an interesting dynamic. Police officers generally prefer more discretion to arrest people. On the other hand, they have for years been telling people to use a designated driver if they are intoxicated. But since the Miles decision in 1966, confirmed again on Tuesday, police officers are telling those people to to commit a crime, i.e. public intoxication, when those intoxicated people ride home with a designated driver. Today is the deadline to fill vacancies on the ballot for Indianapolis City-County council, or more precisely those races that didn't have a candidate in the primary. Yesterday, Marion County Democratic Chairman Ed Treacy made his last vacancy appointment, an experienced attorney and former deputy prosecutor, Jackie Butler. She is the daughter of well-known Indianapolis defense attorney Duge Butler, who is now retired. Butler's opponent in District 5, which is located in the far northeast part of Marion County, will be Republican Councilor Ginny Cain. Cain has the only northside seat with more than a 60% Republican baseline, and thus should be safe Republican territory. I think it's significant though that Treacy was able to recruit someone of Butler's background to run in that seat. As previously recounted in this blog, Treacy has recruited some top notch candidates for the council district vacancies, competitive seats which were surprisingly unfilled at the primary. Of the council district seats, Democrats have filled 24 of the 25, leaving only District 24 in Perry Township without a Democratic opponent. 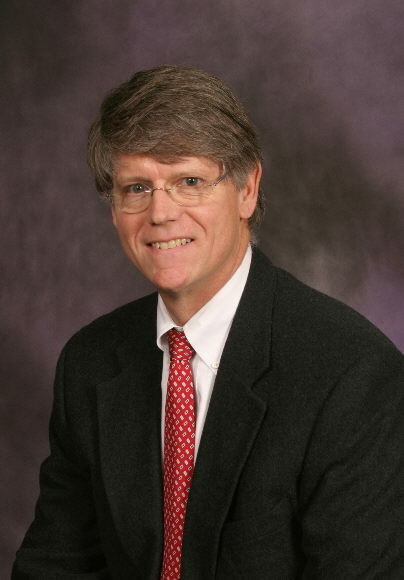 Libertarian Councilor Ed Coleman has decided to go from serving at-large to running against Republican Councilor Jack Sandlin in that district. That will not be an easy race for Sandlin who was ousted by Perry Township Republican voters from his trustee position just a few years ago. With a one-on-one challenge from Coleman, the Republican Party will have to spend to try to retain Sandlin's otherwise safe Republican seat, while at the same time fighting battles to save incumbents all over the county. 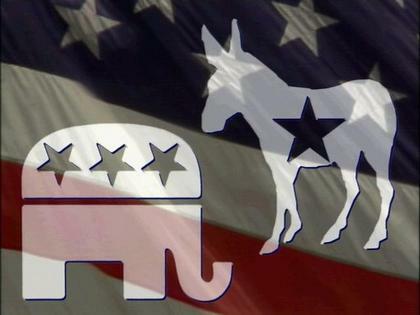 In the 2007 general elect, Democrats left three districts uncontested (5, 24 and 25) and the Republicans offered no candidate in three (9, 10 and 15). As things stand now, I believe the Republicans have vacancies in Districts 7, 9, 10, 11, 16 and 18. 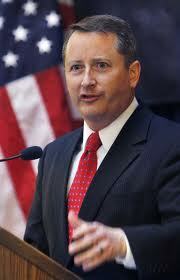 Marion County GOP Chairman Kyle Walker announced earlier that he was appointing A.J. 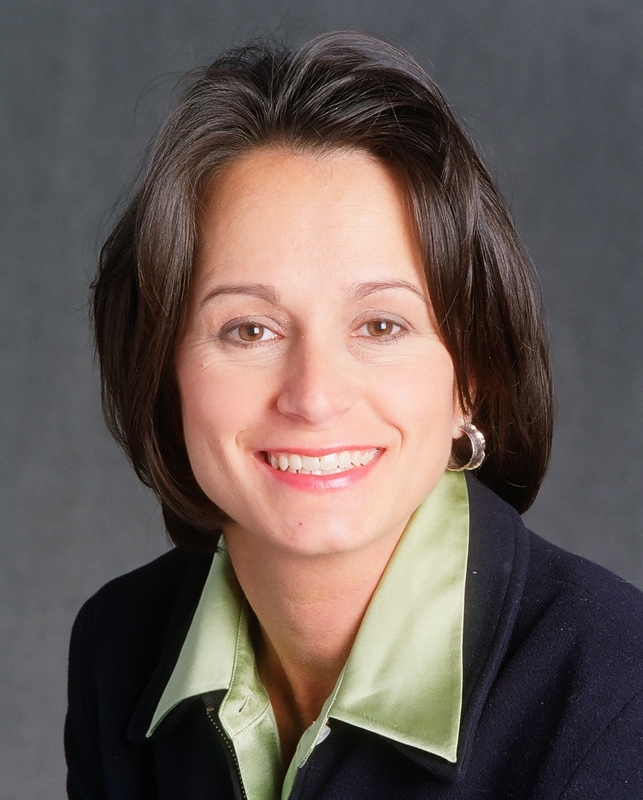 Feeney-Ruiz to fill the Republican candidate vacancy in District 15, one of the most Democratic seats on the council. Walker still has until today to announce more appointments to fill candidate vacancies. Another blogger, more known for being a radio host, is reporting that Democratic mayoral candidate Melina Kennedy has been emailing Hamilton County Democrats who worked on Obama's campaign to come to Marion County to work on her campaign. The party-line spin, all too willingly put forward by that radio host/blogger, is that the Kennedy outreach effort signals weakness within the Democratic base in Marion County. I have yet to meet a campaign that had so many volunteers the campaign was turning them away. A good campaign manager always try to get all the volunteers he or she can. The Kennedy camp probably realized that this being a municipal election year, the Democrats in heavily-Republican Hamilton County basically won't have anything to do and reached out for them to come down to Marion County and participate in this election. While I don't know how successful that effort will be, to spin it as some sort of weakness of Kennedy camp in recruiting volunteers is, to say the least, far-fetched. Let's not forget that Marion County was a solidly Democratic county in the midst of a state Republican landslide in 2010. There is nothing to even suggest there is some lack of Democratic enthusiasm for its chances in Marion County in 2011. Given the current baseline and the races in play, I think there is about a 85% chance Democrats win the council back and about a 75% chance they win the Mayor's office. I'm not against good political spin. 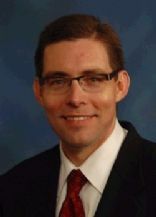 Walker and Treacy, however, too often issue press releases with absurd political attacks against the other party, often spinning some issue in a ridiculous direction. That undermines their credibility with the media when they have legitimate political issues to raise. They might be better advised to keep that powder dry at times, and every once in awhile complimenting the other side, or at least publicly recognizing the strengths of an opponent. That would do wonders for giving them more credibility with the media. Kennedy Calls for Polilce Chief to Report Directly to Mayor; Will She Call for Elimination of Public Safety Director Position? Last year, in the wake of Public Safety Director Frank Straub's mishandling of certain aspects of the David Bisard accident investigation, I called on Mayor Greg Ballard to step forward, accept responsibility, and make major changes to public safety leadership. In fact, I called on Mayor Ballard to replace Straub with someone with the requisite skills, humility and temperament to lead the Indianapolis Metropolitan Police Department, the Indianapolis Fire Department and our other public safety agencies. It's now 10 months later, and today I am more convinced than ever that change is desperately needed at the top of public safety. Since my initial call for change, things, frankly, have only worsened. Additionally, there is one major thing we can do even without new programs or new funding: restore confidence in public safety leadership. Even though we need more, we do have 1,600 courageous police officers in IMPD who are dedicated and who want to prevent and solve crimes. To get the most out of their efforts, the chain of command should be clear. They should report to a strong and wise police chief, not a civilian public safety director who essentially acts as "Director Chief." In turn, I fundamentally believe the police chief should report to the mayor, not to a middle man who filters information. As mayor, I would receive a briefing directly from the police chief every day, and make clear to the force of sworn officers that they are accountable to the chief, not to a public safety bureaucrat. I think Ballard was right to bring in an outsider to bring needed reform to IMPD. The problem is who he chose. It didn't take long to figure out that Mr. Straub had major personality flaws, including being an egomaniac who is overly focused on his own public image and who apparently spends much of his day retaliating against perceived enemies within the department. Further, spending by Straub in the Public Safety Department apparently is out of control. This includes Straub spending money to redecorate his office and hiring high paid subordinates. Although the administration did a poor job of reviewing Straub's background, the bigger fault lies with the decision to continue supporting him despite obvious character flaws which have demoralized the IMPD. Politically, the move has also been a big loser. I talk to several Republican law enforcement officials and even they have turned on Ballard because of his support of Straub. Police officers and their families are a powerful voting block that generally favors Republicans. That won't be the case this election. Kennedy unfortunately stopped short in her proposal. She should come out for the elimination of the Public Safety Director position. A call by her to streamline the public safety bureaucracy by eliminating waste would be very popular with fiscal conservatives who enthusiastically supported the tea party-type Candidate Ballard in 2007, only to see Mayor Ballard pursue policies completely opposite of what he promised on the campaign trail. 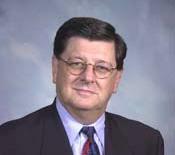 In November, 2009, [Attorney Jerry T. Drook] went to a jail to visit a client awaiting trial for the murder of his wife. While there, [Drook] gave the client candy and written material that had not been authorized by the jail authorities. The written material was a letter from the client's sister pertaining to conversations between the client's sister pertaining to conversations between the sister and a witness for the state. [Drook] was charged with two counts of trafficking with an inmate, which were resolved by a pre-trial division agreement under which [Drook] admitted the allegations. A Marion attorney has been charged with two counts of trafficking with an inmate after police say he brought items to accused murderer Scott Pattison, who is incarcerated in the Wabash County Jail. Jerry Drook, 46, Marion, was charged with the two Class A misdemeanors Tuesday in Wabash County Superior Court. According to court documents, an initial hearing is set for 1 p.m. Dec. 14. Drook hadn’t been arrested as of Thursday afternoon. Attorney Drook was charged with taking "gummy worms,"
gum and documents to an inmate. 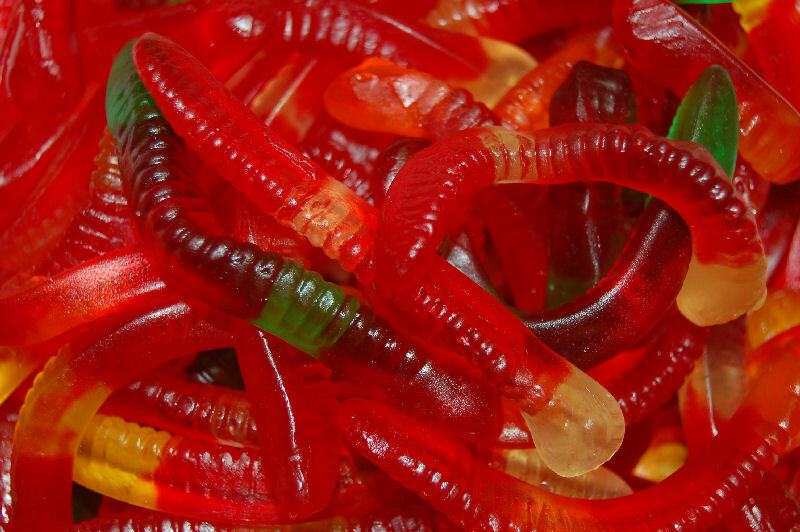 Picture is of gummy worms. According to the probable cause affidavit, inmates housed with Scott Pattison — a LaFontaine resident accused of murdering his wife Lisa, 36, on July 2 — told Wabash County sheriff’s detectives that Pattison had been receiving letters, gum and candy from his attorney. After receiving the tip from the inmates, police set up video-recording devices in the jail library Nov. 20, before Drook and Pattison met. The device didn’t record audio. According to court documents, the video showed Drook removing several items from his satchel. One item was a large plastic bag containing gummy worms and a pack of gum. When Pattison walked into the library, Drook gave him both items. The video showed Pattison putting the package of gum in an accordion file he brought with him from his cell, according to court documents. The video also showed Drook giving Pattison an envelope and some paperwork, which Pattison also placed in his file. Toward the end of their meeting, Pattison pulled a large packet of what appeared to be envelopes and folded notebook paper out of his file and gave them to Drook, who then placed the items in his satchel, according to court documents. Staff at the jail told police nobody have given Drook permission to bring any contraband, including any correspondence, into the jail. Any type of mail is supposed to go through specific delivery procedures, which includes being inspected by jail staff. After the meeting, jail officials searched Pattison and found a business envelope containing a handwritten letter, according to court documents. The envelope didn’t have any postage markings, but was from someone named Sharon. The letter was confiscated, according to court documents. Jail personnel also found a pack of gum and one unsealed, legal-size envelope on Pattison. The envelope contained a man’s gold diamond band, which Pattison said was brought to him at an earlier date. An 80-page notebook and a piece of white paper consisting of unknown information were also found, according to court documents. ﻿﻿After the meeting, detectives read Drook his Miranda Warnings and interviewed him. According to court documents, Drook said he didn’t know he couldn’t bring Pattison candy. He said he did have a package of gum, but that Pattison must have taken it off the table. Pattison told police the gum was from his mother, who’d given it to Drook to bring to him. Police also asked Drook about the bag of candy that was inside his satchel, but he wouldn’t give police the bag or talk about its contents. Drook was then free to leave, according to court documents. Thursday, Drook said he didn’t want to comment on the charges because he didn’t know anything had been filed. Trafficking drugs is a felony, while trafficking other items, including tobacco and candy, is a misdemeanor, the sheriff said. Himelick said he’s only had one incident recently where an attorney has brought a cell phone into the Grant County Jail. Though he doesn’t care if attorneys bring them in, Himelick said he doesn’t want attorneys using them while in the jail. “It’s usually not very common with attorneys,” he said about trafficking with inmates. ﻿﻿Though inmates and other visitors are subject to searches, jail staff in Grant County don’t search attorneys because they’re trusted to not bring in contraband, Himelick said. “We’ve always had a pretty good working relationship with the attorneys,” he said. Himelick said he was surprised that Drook is being accused of the crimes because he’s never had any problems with the attorney. But he said he would have handled the situation similarly to how Wabash did. “It’s something I don’t take lightly,” Himelick said. Bringing items into the jail is prohibited. ﻿﻿Okay, the attorney made a bad decision to, at the request of the inmate's mother, bring gum as well as "gummy worms" to the inmate. But what I and every attorney in the state should be alarmed about is the classification of "correspondence" and other documents as "contraband" by the Grant County Sheriff that has to be reviewed and approved in advance. ﻿﻿﻿﻿As an attorney, I've visited inmates at several jail and prison facilities throughout the state. I have never been to a facility where I had not been searched because I am an attorney and I don't understand the Sheriff's policy not to search attorneys. But I have also never had to tell authorities what documents I have for my client and allow them to review them in advance. That's never been a requirement in any prison I have visited and this is just a jail containing pre-trial detainees. (Note: Prisons are allowed to take much stricter policies than jails which generally house people not yet convicted.) I would be alarmed by such a requirement that could definitely intrude on attorney-client confidentiality. Additionally, although the story treats the exchange of documents between Drook and his client as something sinister, the exchange of documents between an attorney visiting an inmate is an everyday occurrence. While Drook's criminal charges were disposed of by diversion, I think it's unfortunate that criminal charges were filed at all. The Supreme Court suspended Drook for 30 days, citing as an aggravating factor a previous disciplinary violation. A judge has recommended that disciplinary charges against former Marion County prosecutor Carl Brizzi be dropped. Judge Charles O'Connor Jr., the hearing officer in the case, sent a 15-page briefing to the Indiana Supreme Court's Disciplinary Commission recommending Brizzi be cleared of all charges. A 2009 complaint by the commission accused Brizzi of making improper comments about two defendants facing seven counts of murder in the city's worst mass murder and about an Illinois trucker suspected of killing an Indianapolis woman. I agree with this recommendation. I think the disciplinary rules need to recognize that we attorneys don't completely forfeit our free speech rights when we become members of the bar. 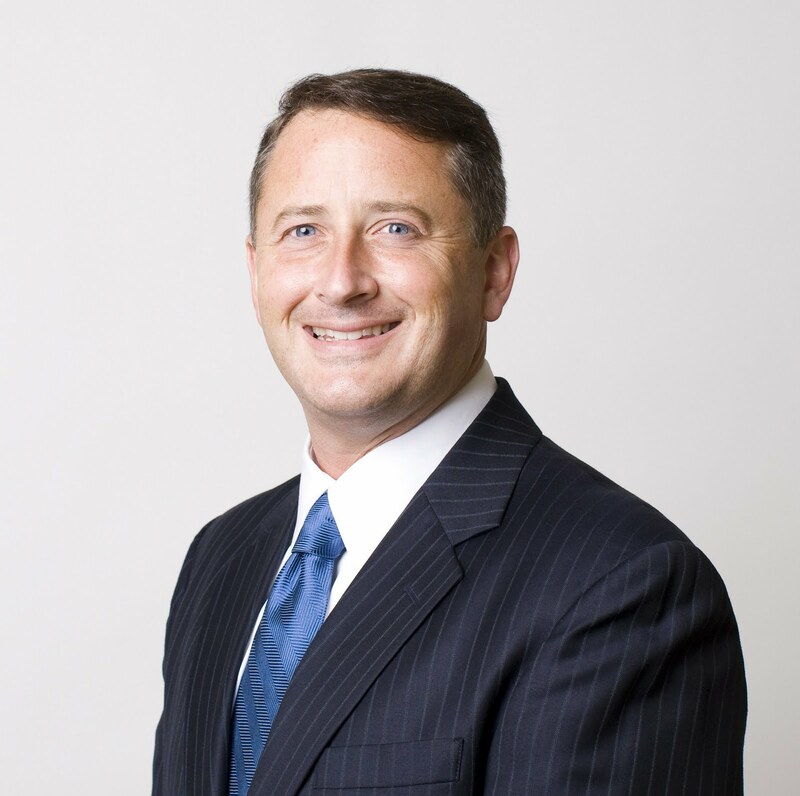 While Brizzi had the added ethical obligations as a prosecutor, he also had added responsibilities to communicate as an elected official to the public. What Brizzi said didn't appear to be much different from what other prosecutors say all the time. When we start picking and choosing what a prosecutor can say and not say, we're going into a very gray area that is going to result in the creation of mushy precedent that leaves no clear guidelines. I think it's better to just let free speech happen and deal with the consequences. In Brizzi's case, the claim was he was trying to taint the jury. If that is indeed true, let trial judges deal with that by venuing the case out of the county rather than turn it into a disciplinary matter. I remember working for Judge Paul Buchanan at the Court of Appeals, when an appellate attorney, unhappy with a decision, referred to the three judge panel in a rehearing brief by a derogatory nickname, something like "The Grumpy Old Man and the Two Ladies." We clerks showed the brief to Judge Buchanan. I expected him to be outraged and possibly refer the attorney to the disciplinary commission. You know what Judge Buchanan did? He laughed. He said the attorney was just blowing off steam and it was no big deal. Judge Buchanan told me that putting on a robe does not put a judge above criticism from attorneys, even when that criticism isn't politely stated. That was about 1993. Today, I wouldn't be surprised if that attorney were suspended for several months. Will the Charlie White Criminal Prosecutors Look for a Face-Saving Misdemeanor Deal? It's been amusing listening to the talking heads in the aftermath of the 3-0 Election Commission decision in favor of Charlie White. The Indianapolis Star this morning opined that White's legal problems are still a "distraction" and concluded as a negative that White had already been convicted in the court of public opinion. Apparently the Star is unwilling to accept any blame for that conviction which was based in no small part to its foolish rush to judgment on White before even hearing the other side. Meanwhile Jim Shella, political analyst for WISH-TV, was the only political pundit I listened to who thought the fact that a Democrat appointed by the Democratic State Chairman who brought the case voted with the Republicans was meaningless. Shella says prosecutors, unlike the Democrats, have had more time to develop smoking gun evidence that could convict Charlie White. 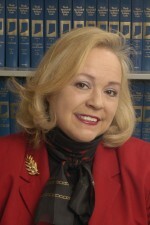 On Abdul's radio program this morning, Shella took a backhanded shot at Democratic attorney Karen Celestino-Horseman, suggesting that one of the reasons she failed in presenting the case was that she is not a prosecutor, which of course ignores the fact that she is a talented litigator and the case before the Commission wasn't a prosecution. While I think she was a bit abrasive in her approach which I think isn't helpful, Celestino-Horseman otherwise did an outstanding job presenting the case. She just didn't have any direct evidence to prove her case while Charlie White did. In the end, an attorney is only as good as his or her case. Apparently the whole problem that a criminal conviction requires proof beyond a reasonable doubt, a very high standard, is lost on Shella. Even if the prosecution came up with the neighbor who saw White going in and out of the condo (Shella's so-called smoking gun), the fact still is White has four witnesses placing him as residing at his ex-wife's house. In particular, the fact White's ex-wife confirms that fact is a devastating blow to any conviction. People on the jury are going to think as an ex, she of all people wouldn't support White if he were lying. I can't imagine how they're going to completely discredit the ex-wife's testimony to meet the reasonable doubt standard. My guess is the prosecutors never dreamed they would have to try the case. I think they believed that if they threw enough felonies at Charlie White, they could get him to leave office in exchange for dropping the charges. That fact is driven home by three of the charges that were completely gratuitous and didn't involve victims who complained to prosecutors: mortgage fraud, perjury for lying on the marriage application by using the ex-wife's address, and "theft" for accepting pay for being on the Fishers Town Board, while supposedly being unable because he moved out of his district. The prosecutors went out of their way to develop those charges. My guess is they were motivated to give themselves more leverage in ultimately negotiating a plea deal with White, leverage beyond the more voter fraud type allegations that make up the other four felony charges. The mortgage fraud charge in particular requires proof of an opposite set of facts - that White was living at the ex-wife's house instead of the condo - than what is alleged in the four voter fraud type charges and the supposed perjury relating to the marriage application. That charge though also requires a showing that it was White's intention at the time of signing the affdiavit to NOT to occupy the condo he bought within 30 days, a nearly impossible thing to show. White's already testified that he intended to move in the condo and that was delayed due to the state wide campaign and not having time to get married. My guess is that, in light of the evidence before the Commission and the 3-0 finding, the two prosecutors, John Dowd and Dan Sigler, now realize they are out a limb. That sound they hear is White sawing off that limb. I believe they will want to cut a deal rather than go to trial with what appears increasingly to be a badly losing hand. My guess is they'll start looking for a plea that drops all the felonies in exchange for a misdemeanor conviction or two, a way for the prosecutors to save face while arguing that the problem is that the law is vague and the legislature needs to clarify the law. With only a misdemeanor, White would stay in office. Are New City Wells the Unintended Consequence of Raising Indianapolis Water Rates? I live in a neighborhood on the city's northwest side that doesn't have city water. Instead we have wells. (I am on the city sewer line fortunately though.) While I have no water bills, occasionally though, every few years, I have a repair that costs a few hundred dollars. Yesterday was one of those days. The pump guy came out and replaced a defective pressure tank. Still having the well is cheaper than city water. I struck up a conversation with the pump guy. He told me his business had picked up and that he was installing more wells since news of the utility sale came out. One of those wells he said he installed was for a former high level executive with the Indianapolis Water Company. The former executive complained how they were going to jack up the rates and he wanted nothing to do with city water anymore. That got me to thinking. If they are going to raise rates, what's stopping people from opting out of city water and going with a well? Well water works perfectly fine, especially if you have a water softener. If you start raising the rates, I would think a lot of people may choose to do what the city water executive did...opt out of the system. 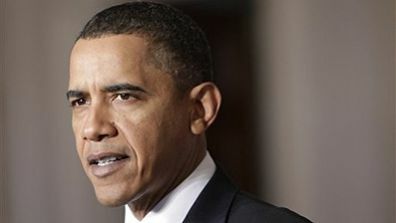 There is a lot of discussion about President Barack Obama's decision to commit American troops to Libya. A strange coalition of liberals and conservatives, as far apart as Ohio Democratic Congressman Dennis Kucinich and Indiana Senator Richard Lugar, have confronted Obama over the President's failure to comply with the War Powers Act. In response, President Obama has taken the position "hostilities" are not involved in the Libyan action, despite the fact that American servicemen are involved in military combat. The War Powers Act was passed by Congress in 1973 over the veto of President Richard Nixon. The WPA is an attempt by Congress to define the line between the President's powers as commander-in-chief and Congress' power to declare war. The WPA says the President may commit troops in the event of a 1) declaration of war by congress; 2) a statute authorizing the President to commit troops; or 3) a national emergency created by an attack on the United States or the U.S. armed forces. In the event #3 applies, the President can commit troops for 60 days and can get an additional 30 days if it is declared by the president as a continuing national emergency. Until President Obama, every President since 1973, all Republican and Democrats, since have taken the position that the WPA is an unconstitutional infringement on the President's power as commander-in-chief and has refused to follow it. What often happens is that the President will commit troops and then Congress will after-the-fact pass legislation authorizing what the President has done. It's more a way Congress has of trying to save face, a way of claiming the WPA is still valid as law. Obama is the first President who served in Congress post-WPA. In the Senate he took a position that the WPA is constitutional. Now as President he can't take the position the traditional position that the WPA is unconstitutional. Instead President Obama, boxed in a corner because of his previous support of the WPA, has chosen to take the position that what is happening in Libya is not actually "hostilities," an undefined term in the WPA. He has boxed himself into an intellectual corner. Though [Indiana's] $1.37-billion project proved disastrous for many of the state's poor, elderly and disabled, it was a financial bonanza for a handful of firms with ties to Daniels and his political allies, which landed state contracts worth millions. ﻿The disparate effects underscore the risks of handing control over public services to the private sector. Whether the approach will ultimately improve services and save money remains a matter of fierce debate in Indiana. But the state's experience shows that without adequate safeguards, privatization can compound the very problems it is designed to correct: bureaucratic burdens, perceptions of influence-peddling and a lack of competition. It's an issue that is likely to persist, as Republicans in statehouses nationwide turn to private companies as they seek to shrink government and weaken the hold of public-sector unions. 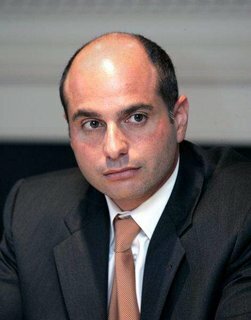 One of the main proponents has been Daniels, who privatized a prison and a major toll road and sought unsuccessfully to lease out the state lottery, cultivating a reputation for fiscal discipline that led major party figures to urge him to run for president in 2012. He recently declined, but retains considerable influence in his party. Critics say that in Indiana, the privatization process barreled forward with little public input and was marred by the appearance of conflicts of interest. Despite the massive nature of the changes he was proposing, Daniels insisted he did not need legislative approval. And the only public hearing occurred after he announced he would proceed with the project. ﻿﻿﻿Key players involved in the process had ties to Affiliated Computer Services, the company that benefited the most from the deal. 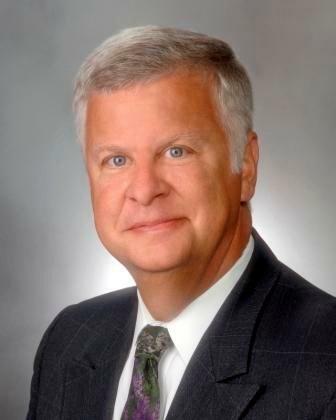 Mitch Roob — a Daniels appointee who ran the state's Family and Social Services Administration when it awarded the contract — was a former ACS vice president. As the state began the project, Roob occasionally sought advice from former Indianapolis Mayor Stephen Goldsmith, a political ally of Daniels and fellow privatization advocate who also had been an ACS vice president. In a brief interview, Daniels called "completely bogus" the suggestion that his administration was too close to companies that won lucrative contracts. "There is no evidence of that," he said. "Our approach was either firms perform well — or we will get rid of them and try someone else." Yet it took two years before the governor acknowledged that replacing caseworkers with centralized call centers "just didn't work." In October 2009, Daniels canceled a 10-year contract with an IBM-led consortium of companies that included ACS among its subcontractors. IBM and Indiana are now engaged in dueling lawsuits scheduled to go to trial next February. After IBM was fired, ACS — which was blamed by welfare advocates for many of the problems — was given a new eight-year contract worth $638 million to continue its work, according to state records. All told, three politically connected firms gained from the welfare privatization effort in Indiana: ACS; the Lucas Group, a Boston-based firm that wrote the specifications for the contract; and Barnes and Thornburg, the Indianapolis law firm that lobbies for ACS and is representing the state in its suit against IBM. ACS — via several political action committees — donated nearly $50,000 to Daniels' gubernatorial campaigns and his state leadership PAC between 2003 and 2010. Barnes & Thornburg gave Daniels almost $120,000 between 2004 and 2010. 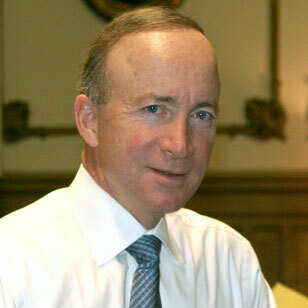 Daniels began pursuing the idea of privatizing Indiana's welfare eligibility system soon after his 2005 inauguration. The idea was taken up enthusiastically by Roob, whom Daniels had brought over from ACS, and who repeatedly described the failings of Indiana's social services agency, which serves more than 1 million needy residents. But advocates for the poor and disabled said that although Indiana residents often had to wait long hours to see government caseworkers, the system reliably delivered benefits — something that would change when private companies took over. In the case of food stamps, for example, the state's negative error rate — how often cases are incorrectly closed or denied — was below the national average from 2001 to 2007, according to the U.S. Department of Agriculture, which oversees how states manage the program. In the 2008 fiscal year, one year after private firms took over, the error rate jumped to just over 13%, more than double the previous year's and the largest rate increase in the nation. Even before Daniels signed off on the privatization effort, the little-known Lucas Group started reaping benefits. Its role was not publicized at the time, but the consulting firm had a nearly $4-million contract — signed by Roob — to write the specifications by which the bidding companies would take over the system. Like ACS, the Lucas Group had ties to former mayor Goldsmith: He served for a time as a senior consultant for the firm, which is run by a longtime associate. Goldsmith, now a deputy mayor in New York, said in an interview that he had nothing to do with the state's awarding of contracts to the Lucas Group or ACS. When states look to privatize, they frequently turn to ACS, a powerhouse known for exercising political muscle in pursuit of government contracts. During Indiana's deliberations, ACS was under fire from federal regulators examining backdating of stock options, as well as from officials in several states who complained of delays, technical problems and, in one case, manipulation of data to justify bonus payments. Despite its troubles around the country, ACS — as a subcontractor to IBM — ended up with the biggest piece of the contract in Indiana. The company hired 1,500 former state workers, built the system's call center and provided the staff that did the initial processing of welfare applications. It was also poised to make a minimum of $596 million in fixed fees, according to documents obtained by the Tribune Washington Bureau/Los Angeles Times. Roob, whose agency solicited bids for the project, did not return calls for comment. But aides to Daniels said the former Family and Social Services Administration secretary played no role in the selection process. They noted that the winning consortium, then led by IBM, ended up being the only bidder for the deal after another group led by Accenture dropped out in May 2006. An interagency review committee studied the proposal by the IBM-led consortium and recommended that the governor move forward with the project. "No one ever said, 'We want to make sure ACS is part of this,'" said Earl Goode, Daniels' chief of staff, who chaired the review committee. "It was looking at the best solution and what's best for the taxpayers of Indiana." In late November 2006, Daniels announced he had accepted the review committee's recommendation. A week later, the state held the only public hearing on the proposal. He signed the deal with IBM a month later, declaring the move would save taxpayers $1 billion. Under the privatized system, clients applied for benefits online and through call centers, rather than by waiting to see a caseworker. ACS employees screened applicants before state caseworkers would determine their eligibility. From the beginning, however, there were problems: According to the state's lawsuit, documents were lost, cases piled up and workers started routinely denying applications just to reduce the backlog. "People were being dumped off food stamps and Medicaid in large numbers; people with profound disabilities were told they weren't cooperating," said John Cardwell, chairman of the Indiana Home Care Task Force, a coalition of organizations for the elderly and disabled. IBM said the problems were due to an unexpected surge in applications. "Our contention has always been there weren't enough caseworkers," said IBM spokesman Clint Roswell. The state said the issue was IBM's oversight of ACS. "The state is now managing them and they're doing fine," said Peter Rusthoven, one of the lawyers representing the state in its suit against IBM. When the state decided to sue, the Daniels administration opted to hire Rusthoven's firm — Barnes and Thornburg, which also represents ACS — to handle the case, rather than rely on the state attorney general. One of the Barnes and Thornburg partners listed on the $5.25-million contract is Brian Burdick, the brother of Daniels' deputy chief of staff. Mark Massa, who was Daniels' general counsel at the time, said hiring outside counsel was necessary because of the complexity of the case. "I just wanted to hire the best litigators I could find," Massa said. "The decision was solely mine and I didn't take political considerations into account." But Democrats complain that the hiring of Barnes and Thornburg was emblematic of the entire privatization process. "This administration has a culture of conflicts of interest and secrecy that I have never seen before," said state Senate Democratic leader Vi Simpson, who has served in the Indiana Senate since 1984. Despite the problems Indiana encountered, Daniels said the experience has reinforced his support for privatization. "Unlike dealing with a government monopoly, if you don't get it right the first time, you can switch to a different firm," he said. This is an excellent, lengthy article that I have only quoted in part. I would recommend reading the whole article. I find Massa's comments to be disgusting. The fact is there are plenty of quality litigators in this state. There was no reason to steer that multi- million dollar legal contract to Barnes and Thornburg, especially given its huge conflict of interest in representing by ACS and the State against IBM in a lawsuit in which ACS, a subcontractor of IBM, which might be a potential defendant. The Barnes and Thornburg legal contact in fact admits there is a conflict of interest and says ACS has been notified and consents to the conflict. (Why woudn't ACS want its lawyers on both sides of the lawsuit?) The contract also says that if Barnes and Thornburg has to sue ACS, the law firm will erect a wall within the firm so that the side representing ACS won't be communicating from the side opposing ACS. ACS's supposed waiver of Barnes and Thornburg's conflict of interest is a joke. The Indiana Rules of Professional Conduct say that is not a waivable conflict. But then again, Barnes and Thornburg's attorneys have long not been held to the same conflict of interest ethical rules that other attorneys in this state have to follow. Finally it should be noted that in the article Barnes and Thornburg partner Peter Rusthoven's comments suggest he has already taken sides in the lawsuit, declaring the problem wasn't his firm's client ACS, but rather IBM's improper supervision of ACS. What do you think the chances are that the side of Barnes and Thornburg representing the state will now target ACS as a defendant? Rusthoven's comments highlight the nature of the ethical violation involved in his firm representing both sides and why such a conflict is not waivable under the disciplinary rules. If you were running for elected office, would you want your name to be first or second (or third or fifth or last) on the ballot? Many of us would want to be first, and there's good reason for that. People have a tendency to pick the first option when presented with a list. It's called the primacy effect. Jon Krosnick, a professor of communication and political science at Stanford University, and others have studied the primacy effect in regard to elections. They've found that being listed first on the ballot is worth 2.5 percent to 25 percent of votes. The effect is largest in races where there is limited information. The primacy effect might be expected to disappear in high-profile races, but it doesn't. It can be tracked especially well in California because the order of names on the ballot is rotated throughout the state. In 1996 and in 2000, Bill Clinton and George W. Bush both did better on ballots in which they were listed first. Even after controlling for the partisan makeup of voters, Clinton in 1996 performed about 4 percent better when he was listed first. Four years later, Bush collected about 9 percent more votes when he was listed first. Downs' article focuses mostly on the advantage of being first on the general election ballot when there are head-to-head matchups between the party. I would like to see the effect of alphabetical order on "list" type races in primary and general election. 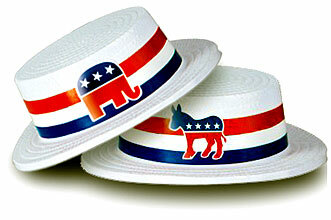 For example, next year there will be 9 Marion County Superior Court judges nominated by the parties at the primary. What if there is a list of 11 candidates...what is the effect of being say ninth on the list? Or is there an advantage to being dead last as opposed to being buried in the middle? You also have primary races where there might be four candidate running for a seat. I know that a lot of time the party will recruit a sham candidate with a lower last name to appear first on the ballot to take away some of the impact of a non-slated candidate being listed first. Does this strategy work? From observing these list type races, I can state purely from observation that it appears that being first on the ballot helps. But in Marion County, I also notice other effects. For example, being a female candidate on a list of candidates, especially in a low profile race, appears to be a big advantage. Having a "foreign" sounding name can also make things difficult. A Charlie White has an advantage over a Vop Osili, for example. One thing I do find surprising is the finding that the "first on the ballot" advantage doesn't go away in high profile races where voters actually know the candidates. I'm still a little skeptical of that finding. I think Indiana really needs to consider changing the alphabetical listing of candidates. Whether it be a random draw or some other method, there has to be a more fair way than simply giving a candidate an edge because he or she has a last name that comes early in the alphabet. A couple days ago, I criticized Marion County Democratic Ed Treacy for unilaterally picking Pam Hickman to fill the at-large vacancy when Council Joanne Sanders departed from the ticket. The law allowed to call a caucus of the precinct committeepersons. The criticism is valid. Giving power and authority to rank-and-file party workers is important to the success of the party. That is one area where Treacy is a weak leader. His autocratic tendencies sometimes get in the way of what's best for the Democratic team. Treacy though has a lot of strengths though as a chairman. One of those is he is a strong campaign strategist. Another one is candidate recruitment. The Hickman selection was pretty irrelevant since the at-large races are base-line race. Virtually any Democratic candidate who gets plugged in to the slot is going to win. But the district races where Democrats have legitimate shots at Republicans incumbents needed strong candidates. Treacy ended up the primary with a surprising four vacancies in districts in which Democrats had a 40% plus base vote, numbers close enough that a strong Democrat in the right year could win. At the very least Treacy had to find candidates to force the Republicans to expend resources. Treacy did better than that. He appears to have fielded strong candidates in the four districts where the Democrats have a shot at ousting incumbent council Republicans. 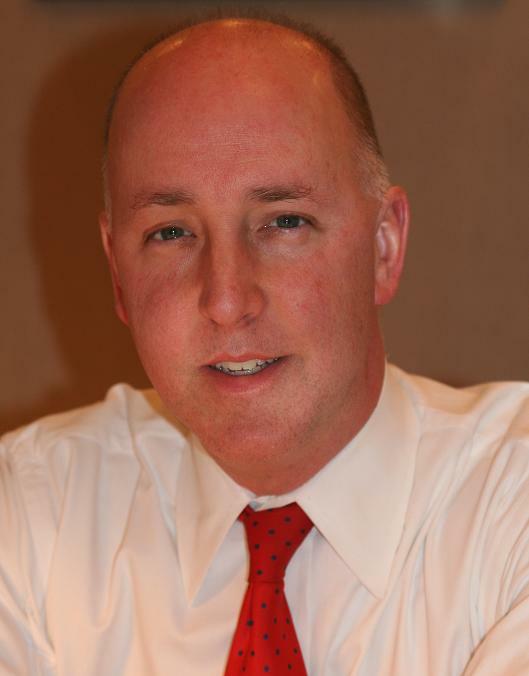 GOP Councilor Bob Lutz will square off against Jared Evans in District 13. 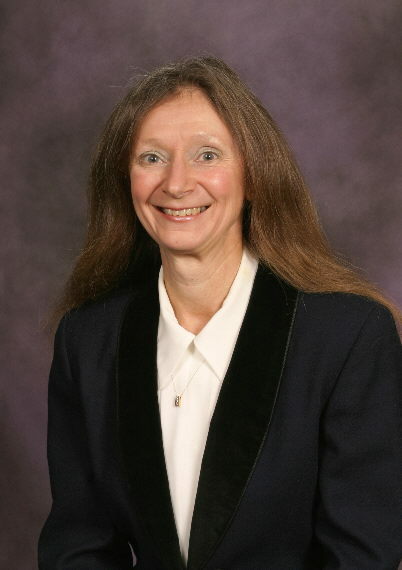 The neighboring Wayne Township district, District 14, will feature council Vice-President Republican Marilyn Pfisterer against former Wayne Township small claims court judge Maxine King. In Beech Grove, Republican Councilor Susie Day will square off against long-time Beech Grove businessman Frank Mascari who narrowly lost an election for Beech Grove mayor. In the Irvington area, Republican Councilor Ben Hunter will face attorney Todd Woodmansee who has served as a deputy attorney general and deputy prosecutor. The last two races with pending vacancies are District 5 (incumbent Republican Ginny Cain) and District 24 (incumbent Republican Jack Sandlin). District 5 is the only solid Republican district on the northside. 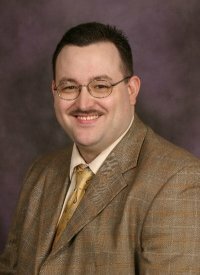 District 24 is normally solidly Republican, but given Sandlin's rocky history with Perry Township voters who ousted him as township trustee just a few years ago, Libertarian incumbent at-large councilor Ed Coleman has a shot at upsetting Sandlin in the Perry Township district. While there is some thinking that Coleman will break off enough Republican vote to give a Democrat a shot at the seat, I think the more likely effect is that a Democrat would split the anti-Sandlin vote letting the incumbent win. Treacy would be smart to stay out. I'm not sure though if his ego will let him pass up a race. The map spells huge problems for Republicans. They have very few shots at incumbent Democratic seats, Dane Mahern and Mary Moriarity-Adams appearing to be the only two. Meanwhile there are scores of Republican incumbents who are facing tough challenges. The three most vulnerable Republican councilors I believe are Christine Scales (Dist. 4), Janice McHenry (Dist. 6), and Mike McQuillen (Dist. 12). Of those three I would give Scales the best chance of holding on. Unlike the other councilors, Scales has shown some independence which might help her survive some of the inevitable negative attacks against her that are coming, attacks that try to link her to unpopular policies. Although Scales has drawn an extremely well-funded candidate, voters can unfortunately be very cruel when it comes to candidates with unusual names. Kostas Poulakidas might suffer the same fate as Vop Osili, strong candidates that probabl are not helped by their unusual names. McHenry's district, which is probably the most Democratic district held by a Republican, is probably over 50% Democrat now, a substantial difference from 2007. McHenry is an extremely energetic door-to-door campaigner but she's up against a strong candidate in Brett Voorhies, who has the benefit of being part of a well-known political family and having ballot exposure in his 2010 hard fought, albeit unsuccessful race against Representative Phil Hinkle. 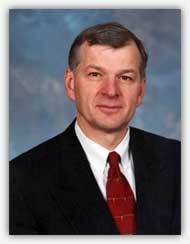 McHenry is probably the most vulnerable with Councilor Mike McQuillen a close second. I expect McQuillen, who has suported every Mayor Ballard proposal to take money from taxpayers to give to private companies as well as all 100 of Mayor Ballard's tax and fee increases, to get unmercifully carved up in a negative campaign. But the list of vulnerable Republicans doesn't stop there. Day is arguably as vulnerable as Scales, McHenry and McQuilen, especially with the tough opponent Day now has. Then you add in shots the Democrats have at Lutz, Pfisterer, Hunter and Council President Ryan Vaughn, that means there are 8 Republicans representing districts who at the very least will have to defend their districts. With the three at-large seats, that is 11 seats won by Republicans in 2011 which are are in play. There are only five absolutely safe Republican seats in the county, District 5 on the northside and Districts 22, 23, 24, and 25 on the southside. As noted, even the 24th has been made competitive by the presence of Libertarian Coleman. While people think my 19-10 prediction would be a disaster for Republicans, the fact is it may be even worse. 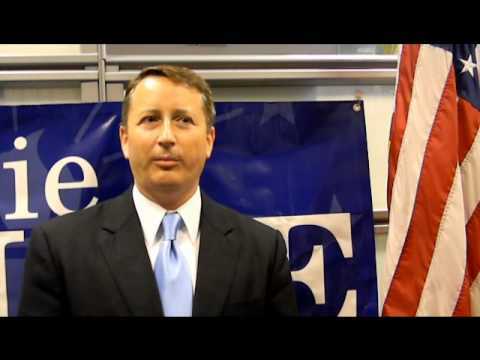 On Monday, I watched the entire Recount Commission hearing on the eligibility of Secretary of State Charlie White to continue serving in office. I have no doubt he will prevail on that issue which required the Democrats to show that he was not legally registered, a requirement to be Secretary of State. As I noted in my blog, the Democrats had nothing but circumstantial evidence, i.e. documents, to suggest that White was residing at his condo instead of his ex-wife's house located at 7527 Broad Leaf Lane where he was registered. White on the other hand not only had documents to suggest he was residing at the Broad Leaf address, more importantly he had several witnesses, including the powerful testimony of his ex-wife that he was in fact living at her and her new husband's house. The Whites also offered a perfectly understandable reason for the set up. White's fiance, the now Michelle Quigley White did not want to live together before marriage and White and his ex-wife, Nicole White Mills, wanted him to spend as much time as possible with their son, which was difficult due to the state-wide campaign. Spending the nights at the Broad Leaf house made sense. I'd be shocked if White loses this issue at the Commission. He should win 3-0, but given how politics works, I'm sure it will be 2-1, with the sole Democrat voting against. But what about the criminal charges? The testimony and exhibits introduced at the hearing are open to consideration by the prosecutors. It turns out the concerns of Charlie White's attorneys about the 5th were misplaced; the evidence in fact calls into serious questions the legitimacy of the charges and raises questions why they were filed in the first place. Let me also say, I'm one of the few attorneys out there who think that taking the 5th is often the worst thing to do when you have facts that will undermine a political vendetta against a public figure which is being conducted through the guise of a criminal prosecution. For nine months Charlie White has been tried and convicted in the media. Monday we learned for the first time facts that have never been reported that completely undermine the criminal charges. STANDARD OF PROOF: Before looking at the particular charges, I need to remind readers that the standard is that the prosecution has to prove its case beyond a reasonable doubt. This is a very difficult standard. The evidence has to be such that there is basically no question, that the defendant must be guilty. This is not the same standard for civil cases which is usually a preponderance of the evidence, a mere tipping of the scales. When prosecutors use a grand jury to get an indictment, they can pick and choose which evidence to present. It's almost a completely one-sided proceeding. However, the prosecutors have an ethical duty under the Rules of Professional Conduct to not pursue charges they know do not have merit. And once those prosecutors learn those charges are cloaked with reasonable doubt, they have an ethical duty to dismiss. Now let's examine those charges in light of Monday's testimony. COUNT 1. SUBMISSION OF A FALSE, FICTITIOUS OR FRAUDULENT REGISTRATION APPLICATION, A CLASS D FELONY. BASIS FOR CHARGE: This charge says that White by "knowingly or intentionally sending a voter registration change of address forms to the Hamilton county Board of Voter Registration representing his new address [as] 7527 Broad Leaf Lane, Fishes, Indiana, when he knew he was or would be living at 13086 Overview Drive, Fishers, Indiana, at the time of the next election (May Primary 2010))"
TESTIMONY AT COMMISSION HEARING: White testified at the Commission hearing that he was in fact residing at 7527 Broad Leaf Lane. His fiance, Michelle, confirmed that Charlie White was living at 7527 Broad Leaf Lane and not at the newly-purchased condo. The couple offered a very plausible explanation. Michelle did not want them to live together at the condo until they were married and that in order to spend more time with his son when he was traveling around the state, it made sense for White to reside at his ex-wife, Nicole and her new husband's house while he was campaigning state-wide. Nicole also testified that Charlie White was residing at her house and not the condo. Nicole's husband was ready to testify the same way but was not called undoubtedly due to the overwhelming testimony on White's side. LIKELY RESULT: There is absolutely no question that, in light of the testimony of those four individuals, there is reasonable doubt, which would mean acquittal. BASIS FOR CHARGE: This charge says that White did "knowingly or intentionally making a false material statement under oath or affirmation knowing the statement to be false or not believing it to be true, to-wit: on his State Voter's Registration Change Form stating his residence was changing from 6994 Pintail Drive, Apartment 107, fishes, Indiana to 7527 Broad Leaf Lane, Fishers, Indiana, when in fact at the time of making said statement he was residing at 13086 Overview Drive, Fishers, Indiana." TESTIMONY AT COMMISSION HEARING: See above. LIKELY RESULT: For the same reason cited above, there is reasonable doubt and thus acquittal. BASIS FOR CHARGE: This charge says that White "did commit the offense of Fraud on a Financial institution, to-wit: by knowingly or intentionally executing or attempting to execute a scheme or artifice to obtain money, funds or other property owned by or under the custody or control of a State or federally chartered or federally insured financial institution by means of false or fraudulent pretenses, representation or promises, to wit: representing in a real estate closing transaction that he intended to reside at 13086 Overview Drive, Fishers, Indiana within (30) days of February 26, 2010, and said misrepresentation was material to the said Charlie P. White obtaining the loan and more favorable interest rate." TESTIMONY AT COMMISSION HEARING: Charlie White testified at the hearing that they fully intended to get married and move into the condo at the time of the closing, but things got delayed due to the state-wide campaign. His now wife testified the same way. As a former title insurance company attorney who has has conducted scores of closings, I know all about that occupancy affidavit. It is INTENT to occupy at the time you sign it. LIKELY RESULT: Because the White's have direct testimony that they intended to occupy the residence within 30 days (and they have no willing victim), this charge has reasonable doubt and thus most probably acquittal. NOTE: I would point out that the prosecutors concocted this charge, the lender, the supposed "victim" they are defending, has not complained that I know of. I would also point out that this is a contradictory charge...here the prosecutors are actually claiming White was living at his ex-wife's house and not the condo, facts contrary to their allegations in the voter fraud and perjury charges. Talk about throwing mud at the wall to see what sticks. Further, as a former state regulator who witnessed mortgage fraud and consistently failed to get prosecutors and the Attorney General's Office to do anything about it, I find it is offensive that the prosecutors would file this phony charge. BASIS FOR CHARGE: This charge is that Charlie D. White did commit the offense of Voting in Other Precinct, to-wit: Knowingly or intentionally voting in Delaware Township Precinct 12 indicating his residence was 7527 Broad Leaf Lane, Fishers, Indiana, when in fact he resided at the time at 13086 Overview Drive, Unit 5-B, Fishers, Indiana, which is located in Fishers Fall Creek Township Precinct 5. TESTIMONY AT COMMISSION HEARING: See outline as to testimony at to Count 1. LIKELY RESULT: Reasonable doubt and, thus, acquittal. BASIS FOR CHARGE: The allegation is that White "did commit the offense of Voting in Other Precinct, to-wit: knowingly or intentionally voting in Delaware Township Precinct 12 indicating his residence was 7527 Broad Leaf Lane, Fishers, Indiana, when in fact he resided at the time at 13086 Overview Drive, Unit 5-B, Fishers, Indiana, which is located in Fishers Fall Creek Township Precinct 5." TESTIMONY AT COMMISSION HEARING: See testimony with regard to Count 1. BASIS FOR CHARGE: This charge rests on the allegation that Charlie P. White id commit the offense of Perjury, to-wit: knowingly or intentionally making a false statement under oath or affirmation, knowing the statement to be false or not believing it to be true, to-wit: stating on his marriage license application to the Hamilton County Clerk's Office and made under affirmation of the truth thereof, that his residence was 7527 Broad Leaf Lane, Fishers, Indiana when it was 13086 Overview Drive, 5B, Fishers, Indiana. TESTIMONY AT COMMISSION HEARING: This charge once again depends on proving, beyond a reasonable doubt, that White was residing at his condo. He has four witnesses, himself included, who are going to testify that he was residing at 7527 Broad Leaf Lane, exactly what is on his marriage license. The only thing the prosecutors have are documents, circumstantial evidence to suggest this is not true. It should be emphasized at this point that Counts 1, 2, 4, 5 and 6 all depend on the prosecutors proving beyond a reasonable doubt hat White was living at his condo and not at Broad Leaf Lane house. The Democrats failed to produce a single witness to cotradict these four witnesses. They offered only circumstantial evidence, which is apparently the only thing the prosecutors relied on to file the charges. BASIS FOR CHARGE: This allegation is that White "did commit the offense of Theft, to-wit: knowing or intentionally exerting unauthorized control over the property of the Town of fishers, Indian, with the intent to deprive the Town of fishers of any part of the value and use, to-wit: taking his pay as a Council member for Fishers Council District 2 during the period of approximately November 5, 2009 through September 28, 2010, when he did not reside in said Fishers Town council district." TESTIMONY AT COMMISSION HEARING: White testified about the unusual set up of Fishers Town Council, an arrangement apparently unique for municipal bodies in Indiana. In Fishers, councilors have to live in particular districts to run, but they are at-large, they appear on the ballot of Fishers. White stated that because of this arrangement he wasn't aware of exactly where the district lines were. In addition, the lines had moved substantially over the years due to population growth. White also noted that he had a a legal opinion that district residency only applied to when you are initially elected and he further cited to another board member who moved out and served for 3 years on the Fishers Town Council. White testified that the Fishers attorney, Doug Church told him that he did nothing wrong and not to return his pay. White however did. LIKELY RESULT: This is a charge the judge should dismiss outright. The prosecution has to show more than White wasn't eligible to serve, an assertion by the way that is already in question due to the unique nature of the Fishers Town Council districts. The prosecution needs to show that Charlie White accepted pay for work he did not perform for the far-fetched "theft" theory to hold up. I would further point out that as long as he is on the Town Council, it would have been a violation of very strict labor laws for the Town to not pay Charlie White. If he's not eligible to serve, that means he gets removed, it doesn't mean you don't have an obligation to pay him, a fact which apparently Doug Church understands but the prosecutors don't. While this charge is the most outrageous of all of the charges, I would point out that it is the one charge most easily pled down to a misdemeanor to give the prosecutors a face-saving way of "convicting" White while dismissing the six other charges. The misdemeanor conviction would leave White in office. Look closely at the rule. It doesn't just apply to the initial filing of criminal charges. It applies throughout the proceedings. While "probable cause" and "[lack of] reasonable doubt" aren't quite the same thing, I think it is safe to say that if prosecutors file charges and then learn of evidence that cast overwhelming doubt about their ability to prove those charges at trial, they have an ethical duty to dismiss those charges. The evidence that came out during the Commission hearing points to the fact that Special Prosecutors John Dowd and Dan Sisler have no chance of convicting Charlie White on the seven counts in front of a jury. They need to follow Rule 3.8(a) and dismiss the charges. If they choose to continue to pursue these now obviously flimsy charges, serious questions need to be asked about Dowd and Sigler's motivation and their initial reason for filing the charges. At this point it has gone beyond the undeniable selective prosecution of the laws. It is starting to look exactly like a political prosecution brought by a coalition of Democrats and some Republicans who want Charlie White replaced by someone of their own choosing, people who apparently have no problem using the criminal laws of this state to pursue that political goal. 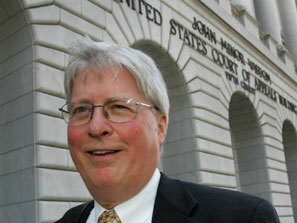 I took off today to watch the entire Charlie White hearing before the Recount Commission. I've been watching a lot of baseball lately, so let me use a baseball analogy. Today's Commission hearing on Charlie White's eligibility to be elected Secretary of State was like the pitcher coming to the plate in a National League Baseball game. You see the pitcher take a couple embarrassingly awkward swings on the on deck circle. You check the stats and see he hasn't had a hit all season. Everone knows the pitcher won't get a hit and most likely will strike out. The pitcher swings and to nearly everyone's surprise, makes solid contact. The ball goes sailing out to center field, and keeps going and going until it clears the fence. Charlie White today was that pitcher taking a turn at the plate. Although everyone had written his political obituary, today he hit a homerun, destroying the Democrats' case against him. I also have to wonder, in light of today's testimony from White and his witnesses, how the special prosecutor can continue to maintain the felony criminal charges against him. There is much, much more than reasonable doubt raised at the hearing, there is in fact the probability that White did nothing at all wrong. Let's examine the proceedings. The lead counsel for the Democrats was Karen Celestino-Horseman, a former Barnes and Thornburg attorney and former City-County Councilor. Celestino-Horseman did the best she could (albeit her arrogant tone is not recommended for a trial attorney), but in her defense she didn't have a strong case to argue. The Democrats had claimed White was living at the condo he had purchased, and not with the ex-wife and her new husband at their house on Broad Leaf. But the Democrats had no evidence to introduce except some documents with the condo address, circumstantial evidence which suggested White might have been living at the newly-purchased condo. But Charlie White's attorney Jim Bopp had his own set documents which suggested during the time in question that White's residence was at the Broad Leaf house. But unlike Celestine-Horseman, Bopp did not rest his case on shaky circumstantial evidence. Bopp had direct evidence in the form of witnesses who knew first hand where White was residing. Charlie White did not take the 5th. He testified that he was in fact residing at the Broad Leaf house while traveling around the state, the very house where he was registered to vote at the time in question. White said the arrangement was so he could spend more time with his son and because his fiance did not want to live together before marriage. In other words, White is saying he was registered exactly where he should have been registered. Charlie White's wife, Michelle, who is the target of a grand jury investigation for testimony she gave on behalf of her husband, also waived the 5th. She confirmed that White was residing at the Broad Leaf house and not the condo. Charlie White's ex-wife also testified that he was living at the Broad Leaf house and not the condo. The ex-wife's new husband was also going to confirm that White was living at their house on Broad Leaf, but Bopp didn't call him undoubtedly realizing he had already won the case. It shoudl be emphasized that White's prosecutors never called the ex-wife or her new husband at the at White's grand jury. They would have testified that White was, in fact living there, and as a result the prosecutors wouldn't have gotten the voter fraud and perjury indictments. What about the supposed motivation that White changed his residence so he could continue serving on the Fisher's Town Council? It's almost laughable that White, who was in line to become Secretary of State, would have been motivated to commit voter fraud by a desire to continue serving on the Fishers Town Council, a position which paid a nominal salary and offered no benefits. Nonetheless, White explained that Fishers' town council members have to reside in certain districts to run, but serve at-large and are voted on by all Fishers voters. He noted there was a legal opinion that the Fishers town council residency requirement only applied to when you're originally elected. He also pointed out that at least one other council member had moved from the district he was originally elected in and served for three more years. One of the charges against White is mortgage fraud because of documents he signed at closing. As a former attorney to a title insurance agency and having conducted maybe 100 closings, I know all about this issue. The document in question is the occupancy affidavit where you promise that you will live in the residence within 60 days. You get a better interest rate on the loan if you agree to occupy the residence. Supposedly White committed mortgage fraud by saying he was going to live at the condo and instead living at the Broad Leaf house, a charge I might add that contradicts the other charges. But the occupancy document is "intent to occupy." As long as you have that intent at the time you sign, it is not perjury and not mortgage fraud. White explained during his testimony that he didn't occupy the condo as quickly as he expected because he was campaigning state-wide and his marriage was delayed and that his fiance didn't want to live together at the condo until they were married. I would also note that the mortgage company, which would have been the victim of the alleged fraud, has no complaints about White's delay in occupying the . White today hit a homerun. The Democrats' case to remove him as Secretary of State is gone. In light of the testimony there is at the minimum reasonable doubt about all the criminal charges against White. It's time to end the political persecution of the Secretary of State. Maybe it it time instead to instead investigate the people who sought to bring down Charlie White through baseless criminal charges.